An introductory guide to explain what a business plan is, why you need it (and how it helps), key components, how long it should be, how to write it, who needs to see it, and much more. It’s been said that a goal without a plan is just a wish. In the same way, a startup idea without a business plan is little more than just that: an idea — no matter how earth-shatteringly innovative that idea might be. Whether you’ve committed to starting a business for the first time or you’re still tiptoeing around the idea, chances are you’ve described your startup concept to your friends or family. And chances are you’ve been told by someone that having a well-thought-out business plan in place is absolutely vital for every entrepreneur. But what you might not have been told was why having a business plan is so important, what critical elements to include, how much of it to include, and how to put it all together in a way that gets potential investors fired up about your idea and eager to get involved. If that’s the case, then you’re in luck — we’re about to break all of this down for you step by step. First things first. What is a business plan, exactly? — a written document that communicates to readers and potential investors what your business goals are and the steps that you plan on taking to achieve them. You’ll often hear startup origin stories that begin with Founders sitting at a bar or in a restaurant when suddenly they’re struck by that “aha!” moment of inspiration and begin furiously scribbling down their concept on a cocktail napkin. This has become something of a romanticized idea in the startup world. But if you’ve had an experience similar to this, then you’ve got the makings of a business plan in its most basic, stripped-down form. And while the shorter, one-page business plan can be ideal in certain situations (more on that later), fleshing out a hastily-scrawled cocktail napkin blueprint into a comprehensive, actionable business plan requires a bit more work (and fewer drinks). We say “actionable” because the very best business plans do more than just inform readers about what your company does — they excite and persuade them about jumping on the opportunity to get involved (and mutually benefit) in helping your company succeed. By answering at a very high level the big, fundamental questions your readers will have about your business going in. These questions fall into two key categories: the WHY questions and the HOW questions. Making sure that you have a polished business plan at the ready might seem like one of those things that you’re just kind of expected to do as a Founder. But it really is about more than just going through the motions. You’ve been beaten over the head with the assertion that you need one of these things. Now here’s a few reasons why. Laying out your objectives and researching your market helps you uncover trends that could help or harm your forward progress and allow you to tailor your growth strategies accordingly. A business plan can help you organize your ideas so you can figure out which goals to set, which to prioritize, and how to reach them without spreading yourself too thin. Investors want to see evidence for why they should risk their time and money in your business and how they’ll recoup their investment. Your business plan helps you make that case. If you’re trying to secure a business loan from the bank, if the lender doesn’t already request it (which they probably will), you can bolster your loan application using your business plan. Your plan can be used to communicate specific parts of your business to lock down potential partnerships. In the event that you find yourself in acquisition discussions, your business plan can be instrumental in helping the buyer better understand the best possible price for the sale of your business. A lot of people assume that the only businesses that need business plans are startups seeking funding, and that once they’ve secured said funding their business plan gets stuffed into a filing cabinet where it lives out the rest of its days collecting dust. Not entirely. So who needs a business plan? If you’re a startup with the chief goal of raising capital to fund your growth, then yes, as previously mentioned, a business plan is a must. Simply having one doesn’t necessarily mean you’ll get funding. But not having one reduces the likelihood precipitously. Unlike startups, existing businesses use business plans more with an eye toward guiding the business and accelerating and tracking growth. 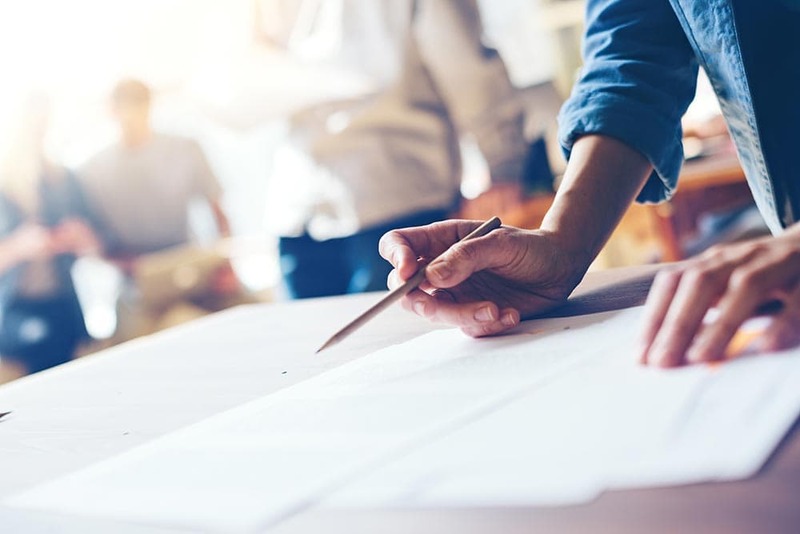 Established businesses also use business plans to convince buyers to acquire the company or to bring potential partners or employees into the fold. Depending on your growth stage and what you intend on using it for, business plans can come in a few different form factors. If you’re a startup looking to raise investment capital, for example, your business plan is going to look a bit different than that of an established company more concerned with internal strategic planning and actually running the business. Let’s take a quick look at a handful of the most common examples. If your goal is to convince investors to financially back your business, the standard business plan — or “external business plan”, as it’s sometimes called — is the most commonly-requested iteration you’ll need. Standard business plans are much more fine-tuned and focused on showing investors how your vision translates into big returns versus an internal business. For our purposes, we’ll be focusing our discussion strictly on the standard business plan for this article. The one-page business plan is essentially an executive summary — in other words, the TL;DR version of your business plan where you distill down each of the core sections of your business plan to a paragraph or two, giving investors an at-at-glance look at the key takeaways. The one-pager is a great asset to break out when you establish early discussions with a potential investor. Investors are incredibly busy, so the one-pager is a perfect go-to when you’re trying to spark interest and set the stage for more in depth discussions about your business after you’ve made first contact. 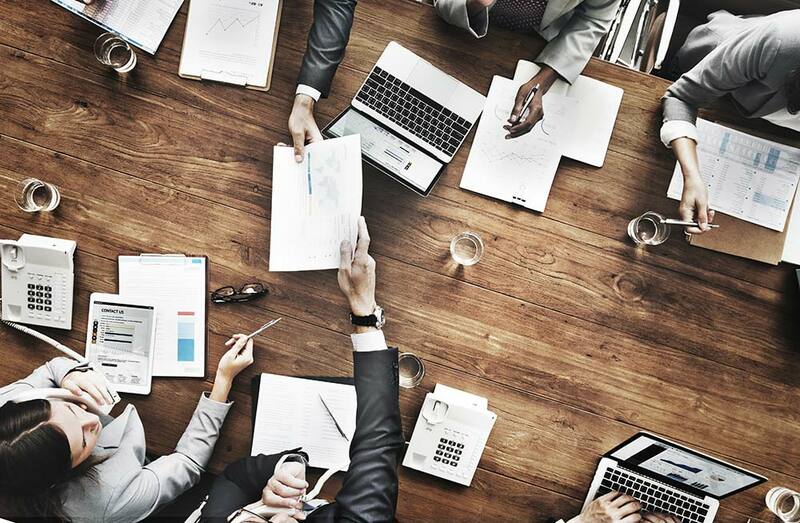 As its name implies, internal business plans generally stay within the confines of the office and are meant to act essentially as a management tool to help business owners set and meet goals. 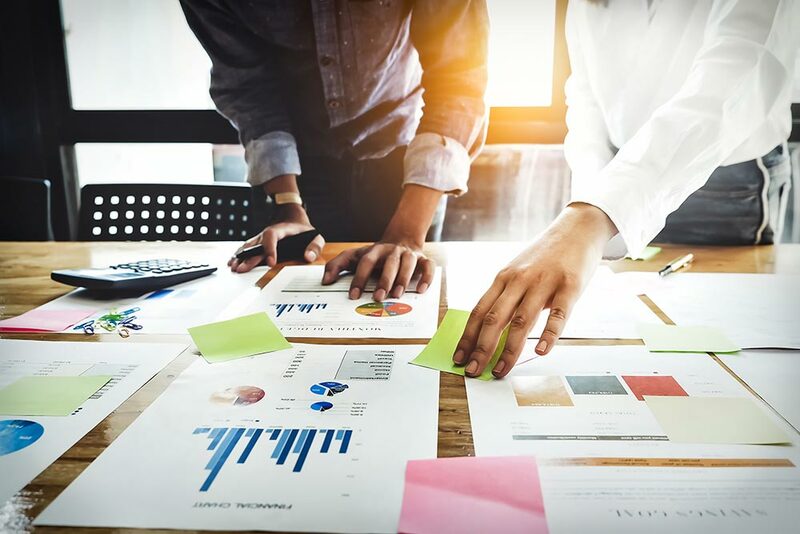 Internal business plans are less concerned with covering things like team overview or outlining the problem you’re solving and more geared toward business strategy, which milestones to reach next, budgeting, and forecasting. This kind of business plan tends to be used more frequently by more established companies than startups. 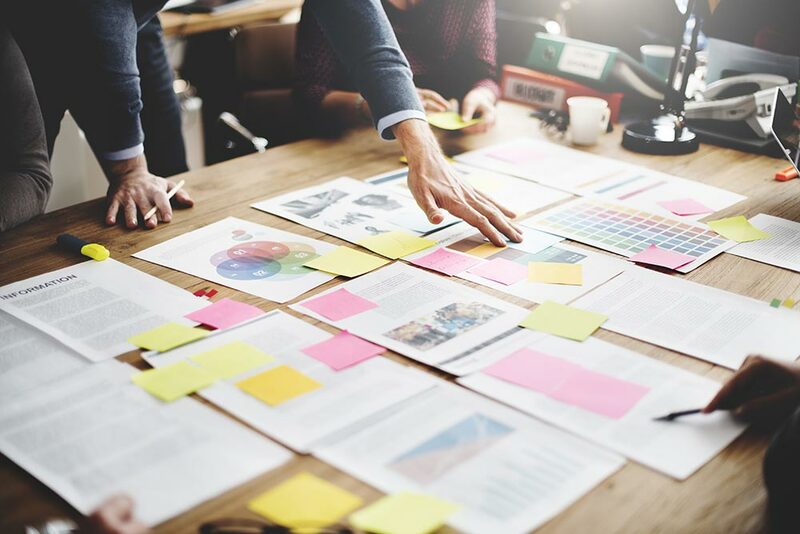 Whether you’re starting a brewery, launching a cryptocurrency business, or setting up a subscription box service for your homemade cupcake operation, there are several common elements that are absolute musts to include in virtually every business plan — regardless of your industry. Your Executive Summary is essentially a brief overview of your business plan as a whole. The goal is to break down each key section into a sentence or two to convey a birds-eye view of your business and prepare the reader for the content to come. The Company Description will serve as a “big idea” statement that introduces your company, what it does, and why it matters. It conveys to your readers the direction your company is going, and the scope of the business you’re building. Every great product or service starts with a clear and specific problem that it’s setting out to solve. What problems do your target customers face that your product/service solves for them? If you don’t articulate the problem you’re solving really well, then the solution (and rest of your plan) falls by the wayside. Once you’ve explained the painful problem you’re setting out to solve, highlight how your product/service connects back directly to that problem and solves it beautifully. How big is your total addressable market? Is it growing? By how much? Is the market big enough for potential investors to get excited about? Have there been any notable exits from similar companies in your space? Give readers an overview of your company’s products and services, their key features, with a special emphasis on what makes them unique from existing solutions in the market. How does (or will) your company make money? How are you pricing your product/service? How does your pricing compare with similar products in the market? What are your revenue projections for the next 5 years? While your Revenue Model explains the ways you’re going to make money, your Operating Model is all about the clever ways you’re going to manage costs and efficiencies to earn it. What are your their strengths and how do you plan to neutralize those strengths? What are their weaknesses and how do they translate into an advantage for your company? What motivates them to take action (make a purchase)? What strategies will you implement to actually acquire your customers? What acquisition channels will you explore (direct sales, paid ads, SEO, social media, etc.)? What are the cost assumptions for each channel? Have you established a production or manufacturing partner? Have you secured any notable partnerships? Do you have any patents for the technology or ideas behind your company? How much money do you need to meet your next milestone? What are your terms (in other words, what will investors get in exchange for their investment)? How will you use the funding that you secure? To get a better sense of what a 21st century business plan is, it’s best to look at what it’s not. Or, more specifically, what it’s not anymore. When most people think about a business plan, the first thing that usually comes to mind is an incredibly dense, 50-plus-page manifesto that’s as hard to write as it is to read. There’s a reason why people think this. It’s because for a long time, that’s pretty much what a business plan was. Thankfully for the writer and the reader, that’s no longer the case. At a certain point, it became clear that the number of investors who actually took the time (let alone had the time) to read these glassy eye-inducing paperweights front to back was approximately 0. Which is why the modern business plan as we know it today is far more concise — a mere fraction of the length of its long-winded predecessor. A good rule of thumb is shooting for around 15 pages. This should give you more than enough room to provide color to each of the required sections of your business plan while also leaving some room for visual elements to break up the copy and make your business plan much more digestible (and aesthetically engaging) for readers. If you find yourself exceeding 20 pages, there’s probably opportunities where you can go back through your plan and eliminate redundant or superfluous information. Remember sitting at your computer back in college, opening up a blank word document, and staring at the blinking cursor as you tried mustering the courage and motivation to dive into your final essay? For a lot of Founders, that’s kind of what it feels like getting ready to commit their business plan to paper, but even more daunting. The thing is, if you approach this with a solid understanding of what information you need to cover, how to cover it, and how to make everything flow properly, it doesn’t have to be. Here are some useful tips to help you get organized and give you the confidence to tackle this head on. Going into this knowing everything there possibly is to know about the market you will be competing in, who your audience is, and how you will make money will always be the first step in the business planning process. Conducting the necessary fact gathering will also help you prove or disprove any assumptions you have about your market fit — either validating what you initially thought, or telling you it’s time to go back to the drawing board. We talked before about the key components that you’ll want to include in your business plan. Instead of jumping in willy-nilly, draft a very basic outline of each of the sections that you will touch on in your business plan. Not only will this make it significantly easier to stay laser focused on only detailing the relevant information you need for each specific section, but it will help the writing process feel much more manageable by breaking it up into bite-sized pieces. Start dividing up all of the information that you need to include in your business plan by section. The best way to do this is by thinking about each section as if it were comprised of a series of questions that your readers will want answered. What will it cost to acquire customers? Once you’ve laid this out for each section, you now have a good jumping-off point to go in and start shedding light on each of these key questions. Whether you’re doing this for the first time or the tenth time, building a plan from scratch is time and energy-consuming. Luckily, there are some great business planning software tools available online designed to make this whole business planning process a whole lot easier for you. In fact, we’ve got one of them! 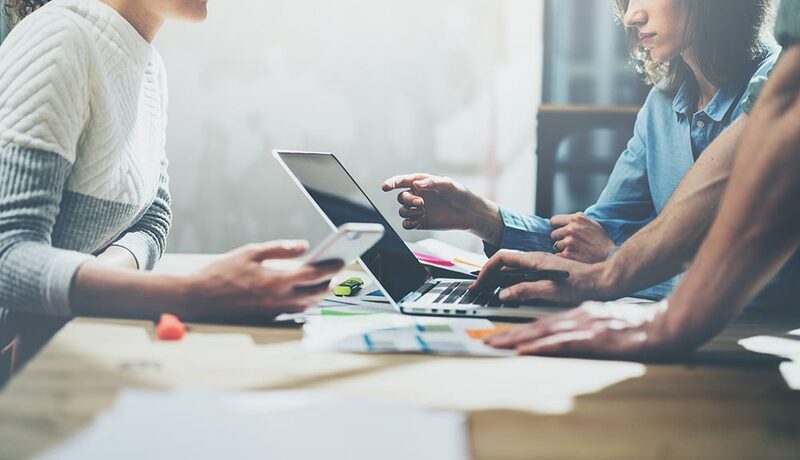 Our business planning software lets you break down this big undertaking into bite-sized pieces that you can complete in any order you like and in collaboration with your team. All of the most important sections of a business plan are conveniently built into drag-and-drop templates. Plus, you get everything you need to generate investor-ready financial reports — balance sheets, income statements, break even analysis, you name it. You can even share your finished product with investors online. You should check it out if you need a leg up with this. You’ve overcome the odds and succeeded in what frequently proves to be an insurmountable task for many startups: you’ve reached out to a prospective investor and they actually got back to you saying that they’re interested in learning more about your project. If you find yourself in the fortunate position of pitching an investor, this is precisely the right time to have your business plan on hand. Most of the time, you’ll start by providing a pitch deck — a presentation (PowerPoint, Keynote) version of your business plan highlighting the most basic elements of your plan in a handful of highly visual slides. Most investors will want to start here because it’s much quicker to read up front than poring over your business plan. Assuming that you’ve blown your pitch out of the water and have the investor(s) on the edge of their seat, they may ask for the longer-form narrative to start getting into the nitty-gritty of your plan — which you will be able to easily provide courtesy of your finely-tuned business plan. If you’re learning this stuff for the first time, it might feel a bit overwhelming being asked to remember which specific pitfalls to avoid here and which strategies to follow there. To make this all a bit more digestible and help you stay on the right track, we’ve compiled a list of some of the top dos and don’ts to keep in mind when you launch into writing your business plan. Do your research before you start writing to demonstrate that you have a firm understanding of your market, competitors, and audience. Do update your plan as you go to keep information relevant and up to date. Do write in clear, plain language that anyone can easily understand, whether it’s an investor or your elderly neighbor. Do cite your sources where necessary. Do create an engaging narrative around the problem your customers face and why your product or service is the perfect solution to that problem. Do explain how you arrived at your financial assumptions. Do keep your business plan concise, compelling, and persuasive. Do make it more personal and immediate by writing in the 1st person grammatical point of view (write as if it were your team having a conversation about the company to the reader in person “Our team is on the forefront of innovation…”). Don’t assume that your reader is already familiar with your industry. Don’t overload your plan with industry-specific jargon. Don’t exceed 20 pages (or 15 if possible). Don’t write lengthy walls of copy. Don’t repeat the same information ad nauseum throughout your plan. Don’t refer to yourself as “The Company” or use 3rd person grammatical point of view (this is a bit of an outdated approach). Don’t claim you have “no competitors” (#1: your investors won’t buy it, and #2: no matter how unique your solution, there’s almost always someone competing with you either directly or indirectly. Really dig in and do your homework on this). Don’t forget to proofread (make sure you’ve gone back and corrected any spelling or grammatical errors and that your formatting remains consistent throughout). We’ve thrown a ton of information at you in this crash course introduction to the business plan. You should now have a fairly good grasp of what a business plan is, what goes into it, and how to use it to maximum effect. The key thing to take away here is to remain calm and not rush this. Business planning isn’t something that you just casually knock out in a day and walk away with the perfect finished product your first time around. Founders can spend numerous cycles repositioning their strategies based on discoveries made during research, rethinking how to best boil down their vision and value proposition, and refining their overall story. Such is the nature of the ever-evolving business plan. As you dive into crafting your own business plan, remember that you’re not alone in this. We’ve got a boatload of other great resources created specifically to help you conquer this every step of the way!